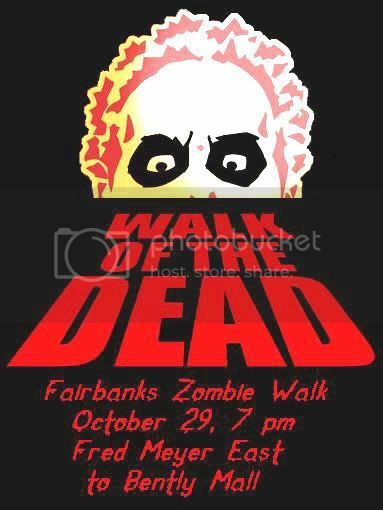 Fairbanks Zombie Walk October 29 2007 - Zombiewalk.com - Your source for all Zombie Walk and Zombie Flash Mob planning! Do zombies freeze? We will find out! 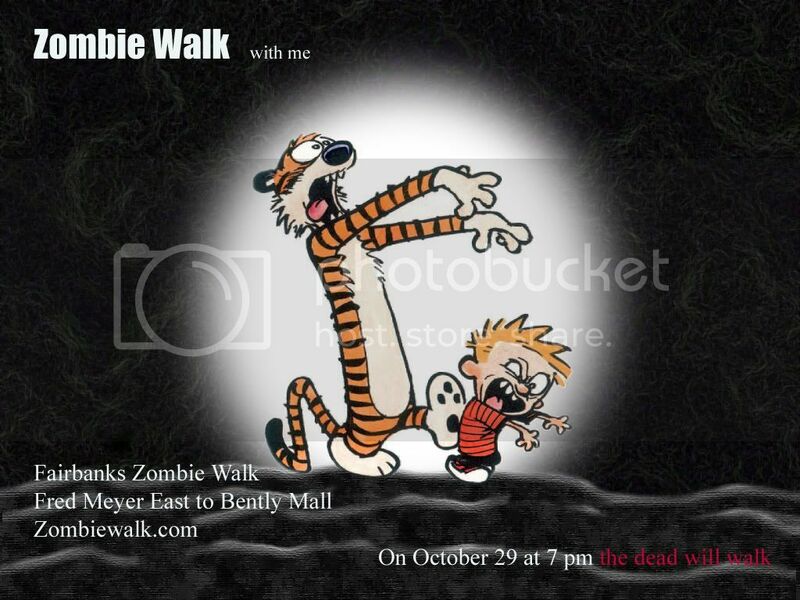 October 29, 2007 meet at Fred Meyer East and we will walk a short but dangerous walk to the Bently Mall, en masse, and in costume and character! Dosent look like Sweating Honey will be playing though, as after repeated attempts to get an answer I still have no word from them. 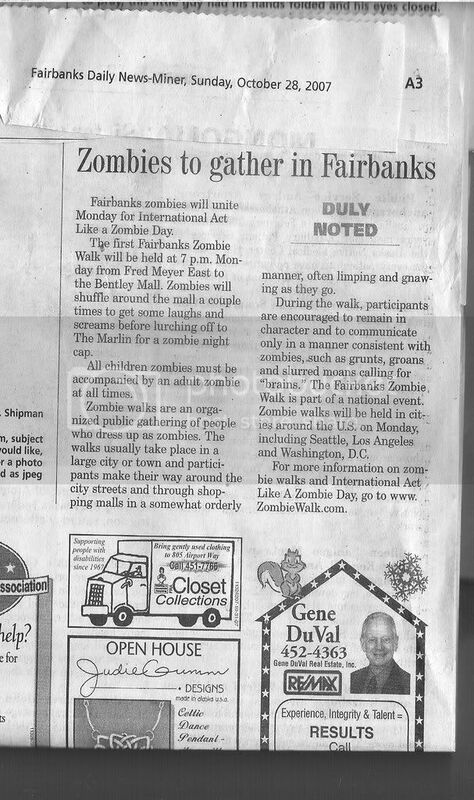 Not as a group concensus.... but the walk is on! If we get enough intrest, the next one will be more prepared, I promise. Anyone who wants to help, message me here! Anyone interested or planning on coming, message me here! LETS HAVE FUN! And be safe! Please read the rules of conduct for zombies! Get Liquid Laytex at Party Palace! I went everywhere and could only find it there. PLUS they were very nice and put up a flyer for us- even laminated it!